Rand Paul, ISIS: Republican hawks created, he says; Jindal disagrees. 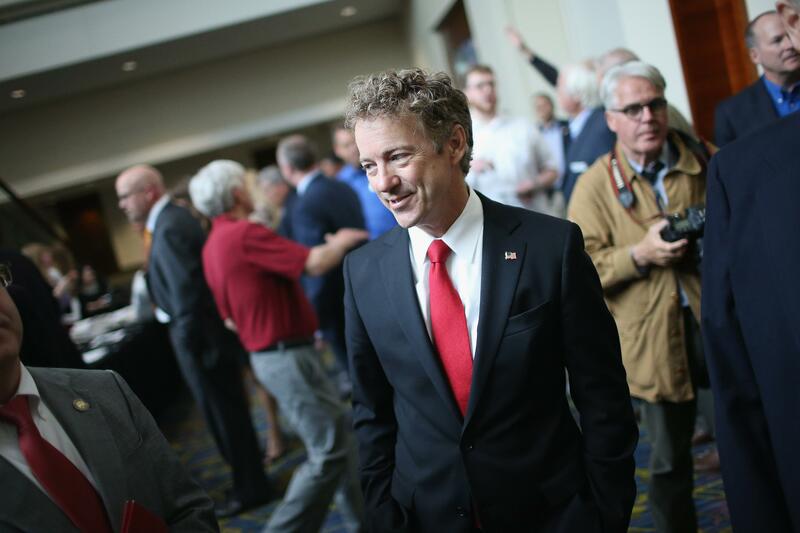 Rand Paul in Des Moines on May 16. Asked whether he was concerned that a potential rival for the nomination such as Senator Lindsey Graham would target him for being an isolationist on international affairs, Mr. Paul said that people like Mr. Graham helped add to the chaos in the Middle East. Louisiana governor and fellow presumptive 2016 candidate Bobby Jindal took offense to this and, in keeping with his previously established campaign focus of mostly just issuing kooky statements that piggyback off of news being made by more relevant political figures, responded with a kooky press release. It’s one thing for Senator Paul to take an outlandish position as a Senator at Washington cocktail parties, but being Commander-in-Chief is an entirely different job. We should all be clear that evil and Radical Islam are at fault for the rise of ISIS, and people like President Obama and Hillary Clinton exacerbate it. Politics! To be fair to Jindal, despite his statement’s hysterical/superfluous capitalization of “radical” and questionably shoehorned reference to Hillary Clinton, it does come much closer than Paul’s claim to reflecting the reality that, while short-sighted United States foreign policy in the Middle East has no doubt contributed to the region’s state of heavily armed instability, the people who are most responsible for creating ISIS are probably the thousands of morally debased extremist murderers who actually created ISIS.